Adulation 67 Jet Grey Acrylic Hot Tub 240V Combine luxury, style and affordability with Aqualife's Adulation spa. This spa can seat up to 6 people, complete with 2 captain's chairs and a full-body lounger. The acrylic shell houses 51 stainless two-tone jets and 16 stainless steel jets to give you maximum comfort from head to toe. Featuring a Bluetooth capable sound system with 2 speakers in the acrylic shell and a subwoofer housed inside the no maintenance exterior cabinet, your set to truly give you and your guests a completely customized experience with the Adulation spa. 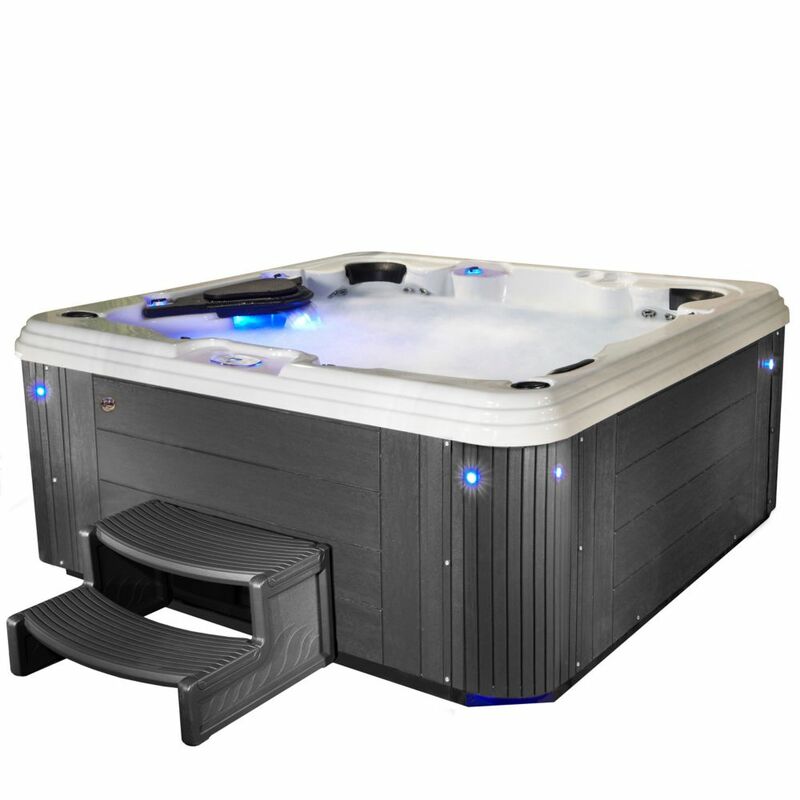 This energy efficient spa is powered by 240V with 3 high performance pumps allowing you to choose your level of relaxation. Delivering your heat is a powerful and efficient 4kW Balboa heater that will offer the comfort you want. The finishing touch to the Adulation spa is an insulated heavy-duty tapered cover, made a full inch thicker than industry standards, which will protect your spa from nature's elements. Adulation 67 Jet Grey Acrylic Hot Tub 240V is rated 5.0 out of 5 by 2. Rated 5 out of 5 by Savages from This has exceeded our expectations. The price was right, delivery very easy and even easier set-... This has exceeded our expectations. The price was right, delivery very easy and even easier set-up. Rated 5 out of 5 by Sheena from We loved the hot tub. We are waiting on a... We loved the hot tub. We are waiting on a newubdamaged cover but the hot tub itself is amazing!